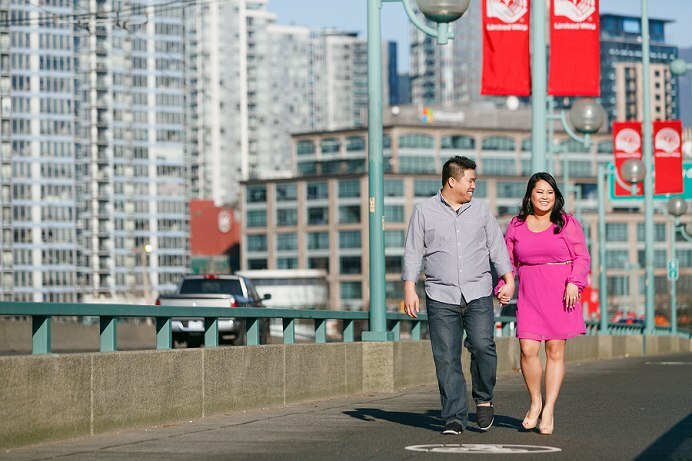 My Chi and David took a short vacation in Vancouver from sunny California this past winter for their engagement session around our False Creek sea wall. It was our privilege to have met this wonderful couple from the States, who made the long trip to enjoy ‘sunny’ Vancouver in winter – yes, I said sunny. As it turns out, the week they were in Vancouver, it turned out to be one of the warmest and most sunny weeks on record. Amazing what a couple of Californians can do for our chilly wet climate. Thank you for the wonderful day, great conversations, ‘interesting’ running, congratulations on your engagement, and Happy Valentines Day! Love the shots on the boat dock! Great color too, they look so happy! I really love all the colors! I also am super diggin the last few shots. Great set, really like your posing. I like those last shots with the building background. Love the color of her dress! These two look like such a fun couple! If that’s the case, I need Californians to visit Toronto! 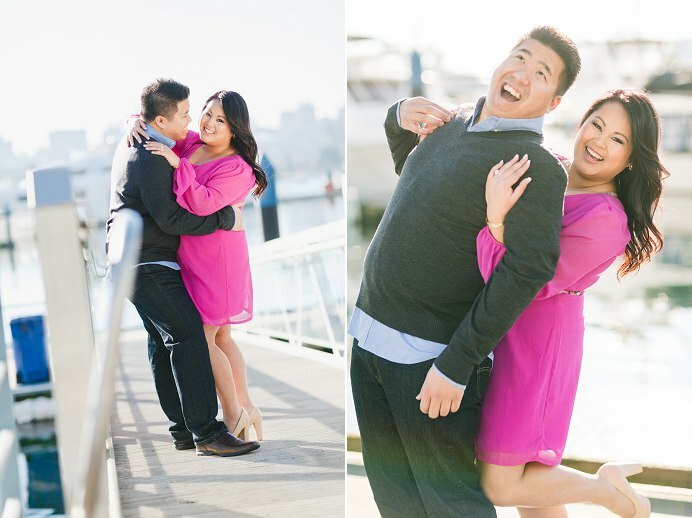 Seriously though, these images rock and you captured how bubbly and happy they are with each other. Great job! Yeah, love all that color!! Lovely session and they look so much in love! Super cute couple. It looks like they had a great time. I am sure they will really love these photos. 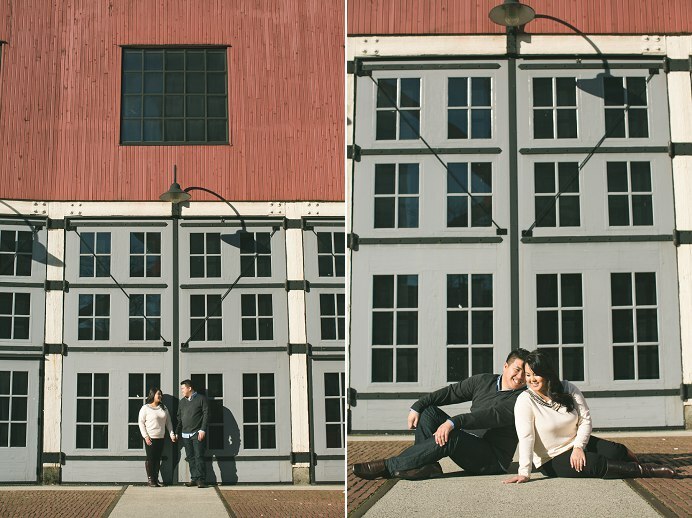 Absolutely gorgeous couple (and photographs! )That one in the third row… WOW. Love it!